Faith in Texas is a multi-racial, multi-faith movement developing civic leadership in faith communities for economic, racial, and social justice. As the Faith in Texas Clergy Steering Committee, we affirm that every human being is created in the image of God––people of every gender and sexual orientation and race and background. There are no second-class citizens, each and every one of us is loved by God. God created all of us in a mosaic of diversity and it is in that diversity that we are most beautiful. Our newest organizer, Julio Acosta, was recently honored with the Justice Seeker of the Year award by the Dallas Peace and Justice Center (DPJC), and we could not be more proud! We are pleased to announce that Akilah S. Wallace has been appointed executive director, effective immediately. Akilah succeeds co-directors Dr. Lydia Bean and Rev. Edwin Robinson. Faith in Texas is a multi-racial faith movement for social justice. 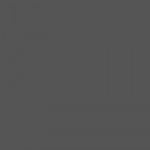 We are an affiliate of the Faith in Action national network, the nation’s largest network developing civic leadership in low- and moderate-income faith communities to advocate for economic and racial justice. Our work involves bringing new voices into Texas public life! Faith in Texas trains teams of lay leaders in local churches, mosques and synagogues, serving low and moderate-income people. These Justice Teams identify systemic problems that affect their community, and move entire congregations to action through powerful policy campaigns. In our divided state, Faith in Texas creates space for empathy, storytelling, and shared action across the boundaries of race, religion, and economics. Faith in Texas is a multi-racial, multi-faith movement for the common good. Our issue platform comes from deep listening in our member congregations and research led by our volunteer leaders. 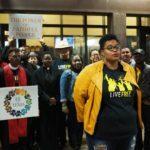 The goal of the LIVE FREE DFW campaign is to organize directly impacted people, their allies, and clergy to assist in ending mass incarceration and gun violence in Texas. The LA Red (Liberation, Action, Respect, Equity, Dignity) Campaign recognizes that there are people and corporations profiting off of the suffering of immigrant families. We invite you to join a movement of faithful voters committed to the dream of freedom. The Moral Economy Campaign works to ensure that families in low and moderate-income communities are at the tables where economic policy is shaped in their cities, counties, and state.